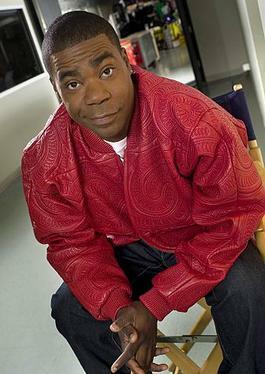 1) Actor/comedian Tracy Morgan has had a very successful career of making people laugh over a span of over 30 years. His first comedy stage was the rough streets of the Bronx in New York City. As he continued to hone his craft he garnered a recurring guest role on the Fox TV series as the “hood’s” best entrepreneur, Hustle Man. SNL creator Lorne Michaels met Morgan when Morgan was selling souvenirs outside of Yankee Stadium. Morgan’s humor and charisma landed him an audition and a cast position on Saturday Night Live. He was later cast in the role of Tracy Jordan, a TV star with an over sized ego, on the Tina Fey produced, “30 Rock.” Morgan won an Emmy Award for that role in 2009. ‘The Last O.G.” on TBS is Morgan’s latest TV show. He has made a heroic comeback from a terrible car crash in 2014, when the minibus that he and his good friend James McNair and several others were riding in was hit by a Walmart truck. McNair was killed and Morgan was severely injured. Morgan brings his standup act to the Pittsburgh Improv tonight through Saturday. All shows are sold out. 8 p.m. tonight. 166 E. Bridge St, Homestead (The Waterfront).